The Convention and Visitors’ Bureau will recognize the hospitality industry and its economic impact on the community. Formal program followed by lunch. 2nd Annual Pearland Travel Rally Picnic at 11:00 a.m. on Friday, May 6, 2016 at the Pearland Town Center – Event Pavilion, 11200 Broadway Street. Between Memorial Day weekend and Labor Day weekend, Shake, Rattle & Roll into Pearland summer promotion is set to feature five hotel packages; Candlewood, Courtyard, Hilton Garden Inn, Sleep Inn and SpringHill. Your hotel still can participate in summer promotion, simply click to complete the form! National Travel & Tourism week is May 1-7, 2016. Celebrate with us on Friday, May 6 at 11:30 a.m. under the pavilion at the Pearland Town Center with lunch, special guests and hospitality awards. Click here to nominate someone deserving for a hospitality award! CVB Quarterly meeting – Join us on Wednesday, March 30 at 9 a.m. at La Madeleine Country French Café at the Pearland Town Center for networking and idea sharing. Advisory Board Meeting – Wednesday, April 13 at 6 p.m. at the Pearland Convention & Visitors Bureau. Visitor map – The 2016 version is available for distribution and will be delivered to your hotel this month. 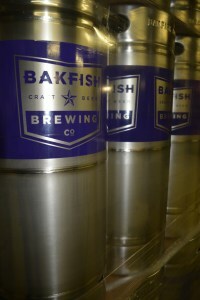 Pearland will soon be home to its first microbrewery with the anticipated January opening of BAKFISH Brewing Company located at 1231 Broadway Street. Two years ago, a casual conversation over beers between co-owners Brian Allen and Kris Szecsy about brewpub law changes emerged as a full-fledged effort to open their new business. Leaving their full time careers – a chemist in the oil and gas industry for Kris and business development in aviation for Brian, the BAKFISH name derived simply from their initials “B” and “K” with “fish” added as an homage to Kris’ background in marine biology plus the emphasis of being located on the Gulf Coast. Brian, a native Pearlander, conducted a bit of research only to find the Houston area south of Loop 610 is underserved for brewpubs and soon after their Pearland location was born. With over 8,000 square feet, BAKFISH Brewing Company will offer 5 core beers including a blonde, wit, brown porter, single IPA and double IPA plus seasonals. A 20-gallon pilot system will allow Head Brewer Kris an opportunity to test new products. While Kris focuses on perfecting brews and testing new products, Brian manages the front of the house including the 3,200+ square feet of space available f or private events, 2,000 square foot tap room plus 1,200+ square feet in the actual brewery. With a seating capacity of 200, the duo plans to offer a variety of events to draw visitors including food trucks, game night, partnerships with biking and fitness enthusiasts and more. BAKFISH is pet-friendly and kid-friendly. The duo says right now they have verbal commitments from various local dining and drinking establishments to carry their product. 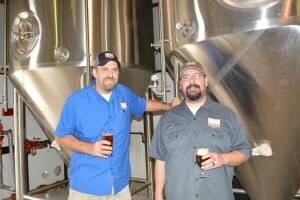 “We’re very excited to be part of the Pearland community and look forward to rolling out a few events to celebrate including two soft openings before our official ribbon cutting ceremony,” says Brian Allen co-owner of BAKFISH Brewing Company. Want to know what’s going on in Pearland this weekend? 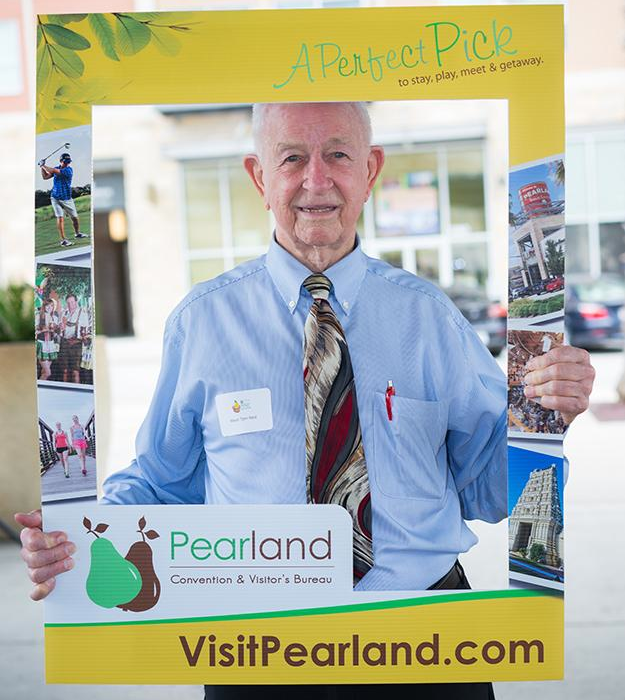 Check out the Events Calendar at the Pearland Convention and Visitors Bureau site! Pearland Alliance for Arts & Culture (PAA&C) and the Pearland Arts League (PAL) have joined forces for the “Fusion of the Arts” event slated for Saturday, September 19, 2015 from 3:30 to 7:00 p.m. at the PAA&C office located at 2341 N. Galveston Street in Pearland. Visitors are invited to experience two arts forms in one event celebrating the wonderful talent in the Pearland community. PAL presents its 5th Annual Juried Art Exhibition with Dennis LaValley, Art Department Chair of Alvin Community College as Juror. PAA&C showcases best-selling author and Pearland resident, Colonel Robert Sholly, USA (Ret.) lecturing on the art of writing. His book, “Young Soldiers, Amazing Warriors” is a #1 best seller on Amazon. Colonel Sholly’s lecture will take place next door to the PAA&C office at the CJ Nelson Auditorium. A welcome reception begins at 3:30 p.m. For a complete schedule of events, click here PAAC-PAL-Fusion-Invitation. Admission is FREE however, reservations are required – fusionofthearts@gmail.com. Animal lovers may think a dog show with thousands of beautiful and beguiling canines of every size and shape simply couldn’t get any better. But they would be wrong. Taking place at NRG Center, July 15 through 19, the 38th annual Houston World Series of Dog Shows is adding two events that will serve up new thrills for spectators. The first is the Barn Hunt. Open to any dog, this competition tests the hunting skills of canines, as they sniff through haystacks to locate a live rat secured safely inside a metal tube. A second new event is Creative Dog Grooming. This mesmerizing exhibition showcases the talents of extreme dog groomers equipped with colored chalk, hair spray and an overabundance of imagination, as they scissor-cut their dogs into works of art and weirdness. Here white poodles become pandas, ponies, lions, giraffes, pirates of the Caribbean or favorite cartoon or video game characters, right before the eyes of amazed onlookers. Of course, the dog show’s traditional and ever-popular offerings will reappear. Meet the Breeds provides those longing to become pet parents an opportunity to literally get their hands on breeds of interest and talk to experts about them. Conformation (breed judging) presents more than 150 common and exotic breeds, as they parade around looking beautiful and winning prizes. For the sports lover, the Performance Events feature athletic dogs in action: obstacle-course-running dogs (agility), hurdle-jumping dogs (flyball), dancing dogs (canine musical freestyle), flying-disc- catching dogs (Frisbee®) and sled-dragging dogs (weight pull). In the AKC® My Dog Can Do That! trials, both dogs and owners get some exercise, as they test-run an agility course while receiving instruction from experts. But some of the most beautiful dogs at the show don’t move at all: they are Houston-area school children’s winning entries in the Dr. Mari Jon Filla Student Art Competition and Exhibition. Don’t forget your own most-beautiful-dog-in-the-world. Surprise it with some special goodies — blingy leashes and collars, comfy beds and fancy treats — all for sale at the McScotty Market. And if your pup needs a new custom home, bid on a one-of-a-kind doghouse designed, built and donated for the 11th Annual Designer Doghouse Competition and Auction. All proceeds benefit homeless animals at the Citizens for Animal Protection shelter. The Houston World Series of Dog Shows, sanctioned by the American Kennel Club, supervised by Onofrio Dog Shows and sponsored by Purina® ProPlan®, is Houston’s must-see dog event, attracting more than 12,000 entries and 40,000 spectators, participants and vendors. Held at NRG Center, the Houston World Series of Dog Shows is an easy drive from Pearland minutes off Highway 288. Where: NRG Center, 8400 Kirby Drive. More Info/Tickets: $15, ages 13-54; $10, 55 and older; free for children 12 and younger with an adult, Parking is $12 – go to houstondogshows.com for more information.